Summertime roller skating, or wintertime ice skating. 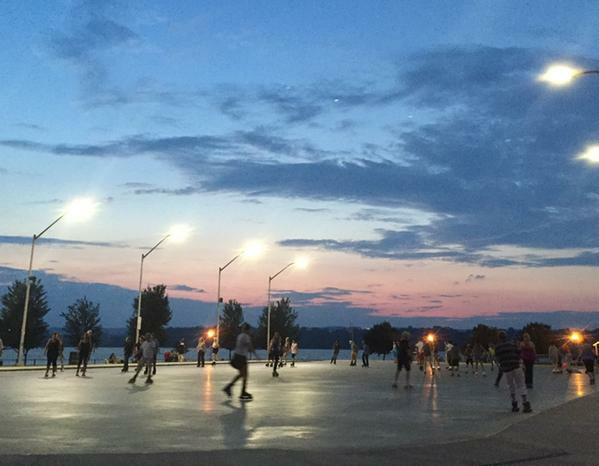 The Pier 8 Outdoor Recreational Skating Rink is a free rink open to the public. For those of you who do not have skates, they will be offering skate and helmet rentals.